The 23rd Annual World Islamic Banking Conference (WIBC 2016) was held at the Art Rotana Hotel Bahrain on the 5th, 6th and 7th December 2016. The theme for this year is Economic Uncertainties: Vigilance and Growth. WIBC 2016 with its 23 years heritage had successfully attracted leading bankers, institutional investors, asset managers, policy makers, academics and other stake holders from across the globe to converge and engage into critical discussions across multiple dimensions of Islamic financial system such as banking and finance, Islamic financial market, asset allocations etc. For the second consecutive year, one of the salient features of WIBC 2016 is on financial technology or fintech. Enterprise Excellerate, one of the two parallel sessions on Day 1 that was dedicated to fintech, saw prominent fintech personalities and advocates engaging into interesting and thought provoking discussions on fintech revolutions, challenges and regulations, fostering culture of innovations, blockchain and cryptocurrency, robo-advisors, crowd-funding, digital banking and cybersecurity. I happened to be one of the panel in discussing how best to engage customers in enhancing their digital experiences. In addition to the dedicated stream on Day 1, fintech topics also appeared in the main agenda on Day 2 and Day 3. Islamic finance in digital age, cyber security challenges facing the banking industry and digitization of Islamic financial institutions were discussed on Day 2. Day 3 continued with two more sessions, how can Islamic finance adapt to the fintech revolution and enhancing banking growth through fintegration. I was also a panel in the latter. Curated based on robust industry research and in conjunction with stakeholders across the global industry, the line ups of WIBC 2016 agenda pertaining to various aspects of fintech proves that global Islamic finance fraternity do realize fintech potentials as enablers to bring Islamic finance to the next stage. This is further evident by the remarks on fintech disruptions and opportunities made by numerous speakers and audiences even when they were discussing topics not dedicated to fintech. Sitting through the whole there days of the conference, I observed that while there were still a few skeptics, the majority were in agreement that fintech disruptions was real and there were huge opportunities for fintech in Islamic finance space. For example, during CEO Power Debate session discussing the way forward for Islamic finance, a speaker highlighted the fact that Islamic finance has not fully tapped on the potential of huge muslim market in Indonesia, Pakistan and Bangladesh which coincidentally has a large unbanked segment. While traditional brick and mortar branch network could be a challenge to reach out to these prospects, digital financial services could be a good solution to drive inclusion for this segment, thanks to the amazingly high mobile phones penetration in these geographical locations. Besides addressing fintech opportunities and disruptions in general, there were also discussions on the implications to traditional banking services. Some audiences related their unfriendly experiences with the current banking services. This could be easily solved with customer experience centric digital banking design. Customers in digital age expect personalized banking services which some of the fintech companies have been able to provide. In order not to lose more to the fintech companies, Islamic banks must embark into digital banking journey. Quoting one speaker, “Digital Banking is not about providing banking services online but about transforming banking experience from acceptable to delightful”. I left Bahrain on the evening of 7th December 2016 after WIBC 2016 drew its curtain feeling satisfied with my own conviction on fintech in Islamic finance that we have come to past the awareness stage. There has been enough excitement and the stake holders have begun to realize the way of doing business is changing. I believe that decision makers are getting accustomed the phrase, “if you do not disrupt you own organizations, others will”. Some have started to take actions and I am optimistic that we will be seeing more in the near future. 2017 looks very promising for collaborations for innovative solutions between fintech companies with the traditional financial services’ providers. We can expect to see more of the “platformification of banking” that kicked off in 2016. 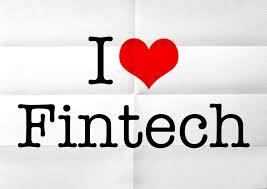 Platformification is a strategic partnerships between existing banks and startups toward becoming banking platforms. Platformification concept originates from the platform idea of plug-and-play business model that allows multiple participants (producers and consumers) to connect to it, interact with each other and create exchange value.